For most, this article will seem more of a revision session than an enlightening piece into who to watch in 2012. For those who are new to The Youth Radar, you may already of heard of some of these names, but I can guarantee you’ll hear a lot more about these boys in the coming year. For our regular readers, please do stay with The Youth Radar as we plan the main ones to watch in 2012 in the coming weeks, featuring big upcoming names such as Ganso, Andy Polo and Nathan Redmond. Enjoy. There is no surprises as this wonderkid lands the number one spot. God knows how he is still at Santos with the amount of European interest for his signature. He has been linked with every Champions League club under the sun in the past twelve months and has continued to exceed all expectations with his footballing ability. He inspired Santos to their first Copa Libertadores since 1963, scoring six goals during their surge to the title. He has also signed a contract keeping him at the club until 2014, but we all know that contracts mean nothing these days. 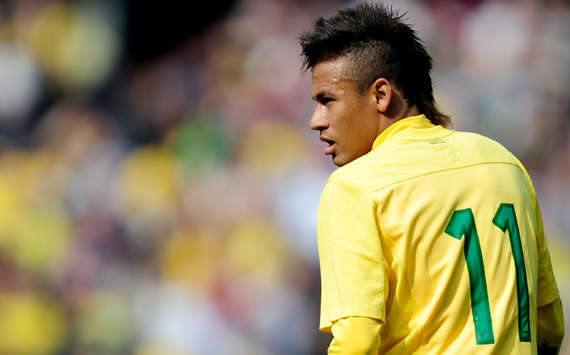 Neymar has already appeared 15 times for Brazil during his career and grabbed 8 goals. One of the most prominent moments of the year was his two goals against Scotland at the Emirates Stadium. Unfortunately the game was marred by a claim of racism against Neymar has bananas were thrown from the stands onto the pitch in front of the youngster. During his short but coveted career so far, Neymar has made 154 appearances for Santos and netted a total of 81 goals, making him one of the most promising talents the world has seen for years. One must be excited to see Neymar at the 2014 World Cup. On home soil he is bound to perform in front of millions and really show the world what he is made of. He is already a key figure in the Brazil national squad and will only develop this role further by the time the World Cup comes around. It’s an exciting time in South America. Will Goetze ever make his much-speculated move to Manchester United? Much like Neymar claiming the number one position, there is no surprise that this kid takes number two. Will the young German ever make his move to Manchester United this year? He has been linked with the club for the best part of the past year as an ideal replacement for the retired Paul Scholes. Goetze is a lightning quick central midfielder with excellent creativity who has been described by the German FA’s technical director, Matthias Sammers, as “one of the best talents we’ve ever had”. The midfielder scored his first international goal this year as he netted in Germany’s friendly against Brazil in November. At 19 years and 68 days, he became the youngest ever goalscorer in the post-war era for the national team. Goetze has already celebrated a league title in Germany with Dortmund which has only increased his price tag. The 19-year-old created 80 chances in the 2011 calendar year, the seventh-most in Europe and he is only 19. Definitely one we will see a whole lot more of in the coming year. This transfer window will prove to be a very busy one for the agent of Eden Hazard. The 20-year-old celebrated a league and cup double last season with Lille which also earned him the French Player of the Year award, becoming the youngest player ever to hold the honour. Arsenal have constantly been linked with a move for the creative midfielder but bids from Real Madrid, Barcelona and possibly Chelsea seem imminent. Lille are going to face a huge fight if they are to keep hold of Hazard this year. Hazard’s excellent technical ability means he has been likened to the likes of Lionel Messi and Cristiano Ronaldo in the past year and it doesn’t seem to be long until we can make sensible comparisons between the three. Despite being a very attacking-minded midfielder, it was only this year, three years after his debut, that he scored his first international goal. It came in a game against Kazakhstan in October. Belgium’s convoy of rising talent should see them become a huge force in Europe in the coming years with Hazard and Lukaku leading a line of potentially world-class stars that could make a huge impact on their international presence come 2014. Christian Eriksen became the youngest player at the 2010 World Cup and his career has only blossomed since that feat. In 2011 the 19-year-old took the Danish Player of the Year honour and Dutch Football Talent of the Year award. 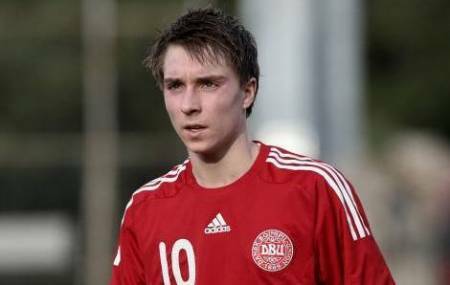 Despite his age, the youngster has already represented Denmark twenty times in his career and has netted twice for the international side. Johan Cruyff said “He’s a player I really like with all my heart. This prize (Danish Player of the Year) is just the beginning, a stimulus to get the maximum out of his career. The talent is there, the recognition also; now it is up to the player himself. He is a typical product of the Danish school. You can compare him with Brian and Michael Laudrup. Only time will tell if Eriksen can reach the same level as them.” about the youngster, a huge confidence boost coming from such a stalwart of the game. Jack Wilshere is already a household name across England. He has been a shining bulb of light in a struggling Arsenal outfit that recently seem to be turning the corner. Despite injury keeping him out of the first-half of this season, Wilshere’s name has not moved from anyone’s lips as everyone anticipates his return. He has proved to be an integral part of the England senior squad and has been tipped by Fabio Capello as a future captain of the national side. His absence in the senior side has been filled by the flourishing Scott Parker, but Wilshere’s place seems assured as he slowly makes his return. Wilshere is an incredibly active “tweeter” and is adored by players and fans alike for his relationship with the general public. All updates of Wilshere’s injury comeback are on Twitter as he gains support from people all over the world in his comeback and then his mission to become one of the best players in world football.